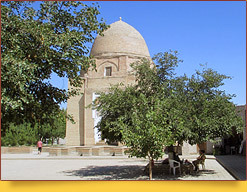 Rukhabad Mausoleum (‘adobe of spirit’; also spelled Ruhabad, Ruhobod, Ruhabod, Rukhobod, Rukhabod) is one of the first edifices erected during the reign of Tamerlane (Timur) in Samarkand, one of the oldest historic buildings in the city. 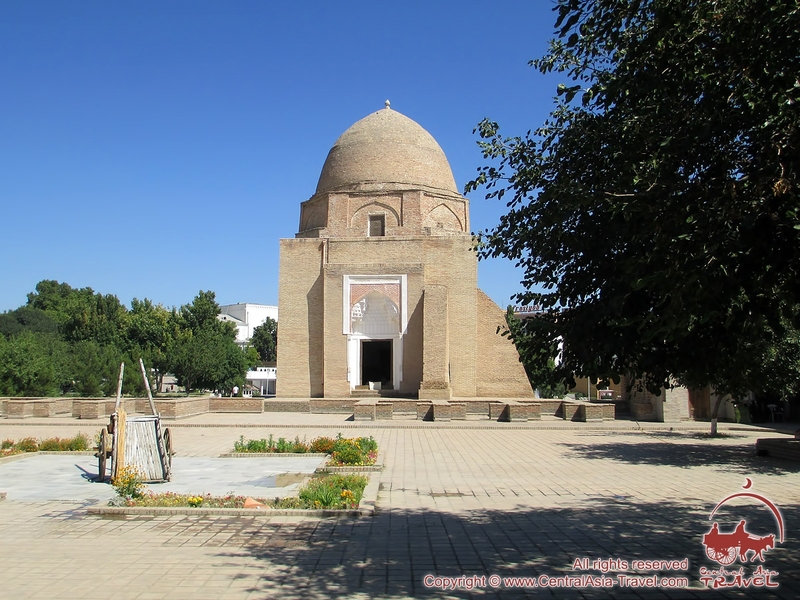 It was built in 1380 over the grave of Sheikh Burhan al-Din Sagarji (also spelled Burkhan al-Din Sagarji, Bur(k)haneddin Sagarji, Bur(k)haneddin Sagardzhi), the famous Islamic theologian and mystic. Burhan al-Din Sagarji was a successful propagator of Islam in Eastern Turkestan (today’s Xingjian, China). He spent most part of his life as a pilgrim and died in China where had become a highly influential person at the emperor’s court. 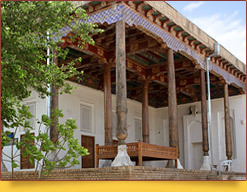 According to his will, he was buried in Samarkand he had very much loved. 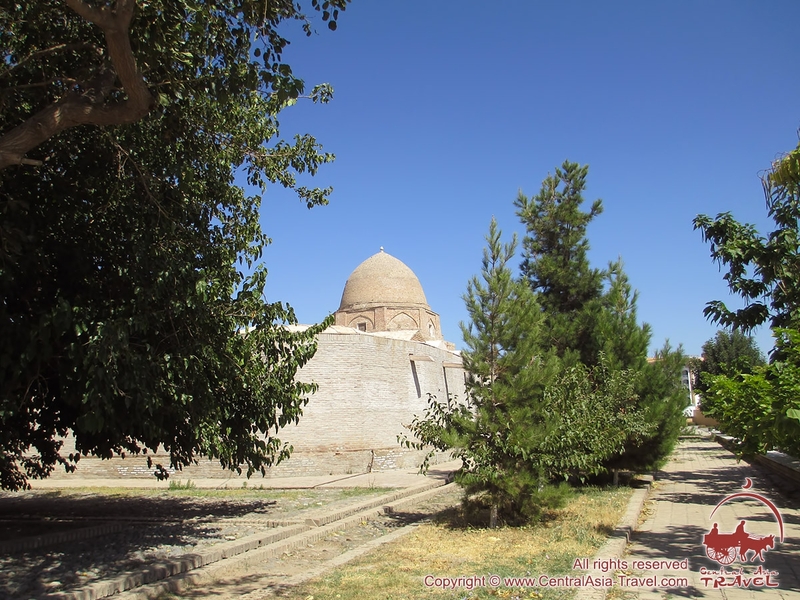 The mausoleum was built by order of Tamerlane who revered the sheikh. The building has the form of a cube with a dome on it. 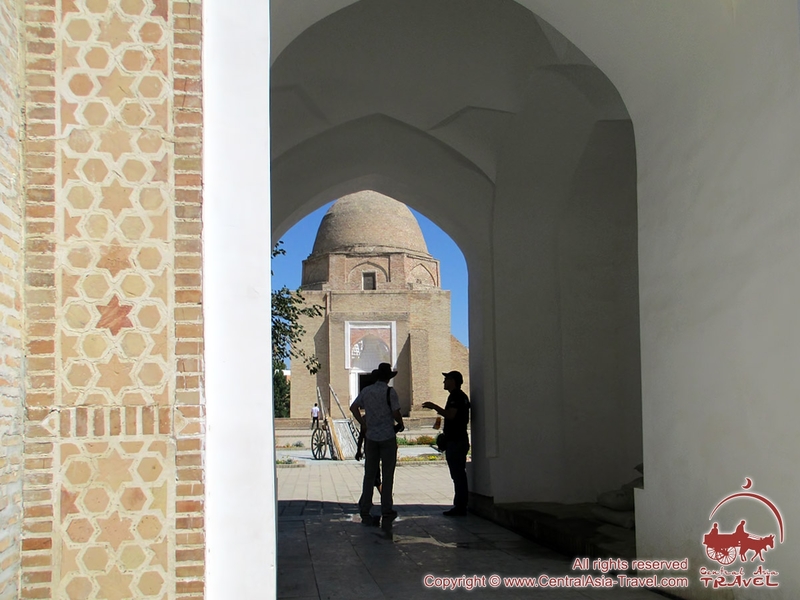 It has no large main-entrance pishtaq portal typical of Timirud architecture; the entrances on three sides of the mausoleum are of equal size. 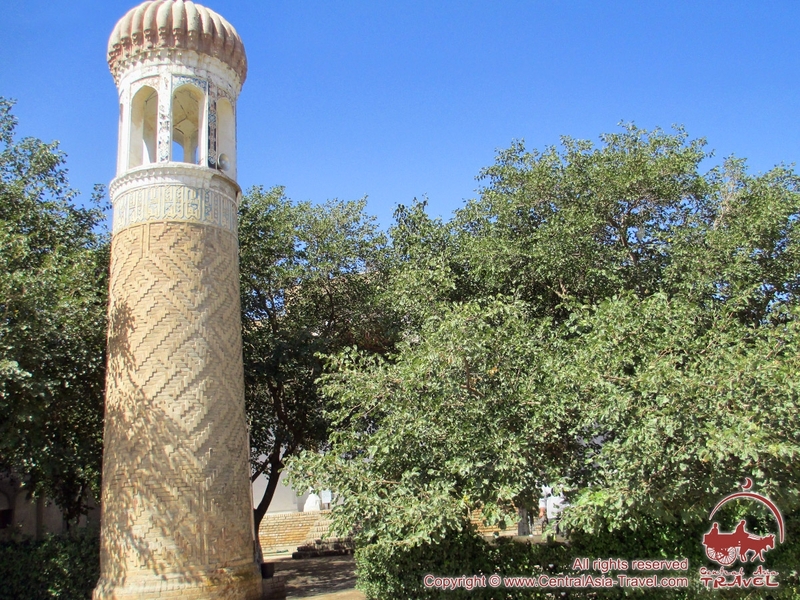 In contrast to the other medieval Samarkand edifices, the mausoleum is not large: 14 by 12 meters in area and 24 meters in height. 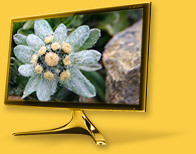 The interior is impressive in its austere simplicity. 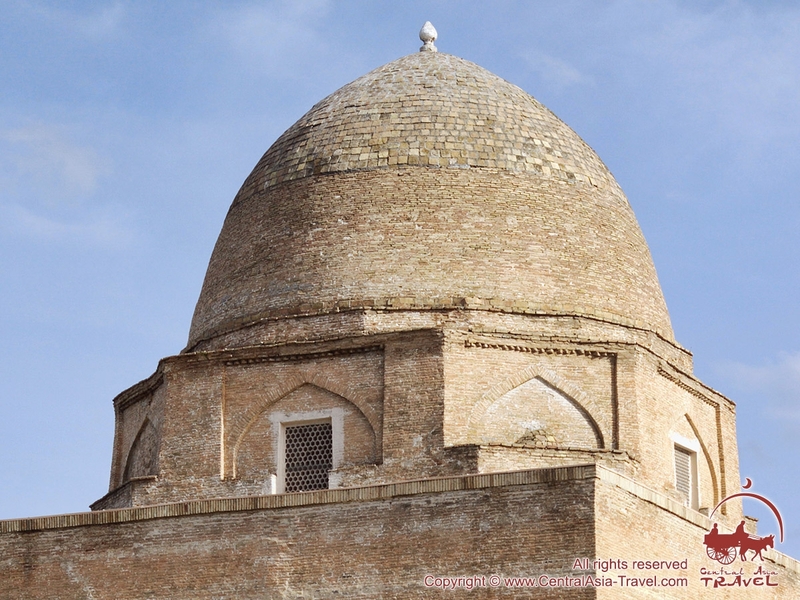 Burhan al-Din Sagarji’s wife and their nine children were also buried in the mausoleum. 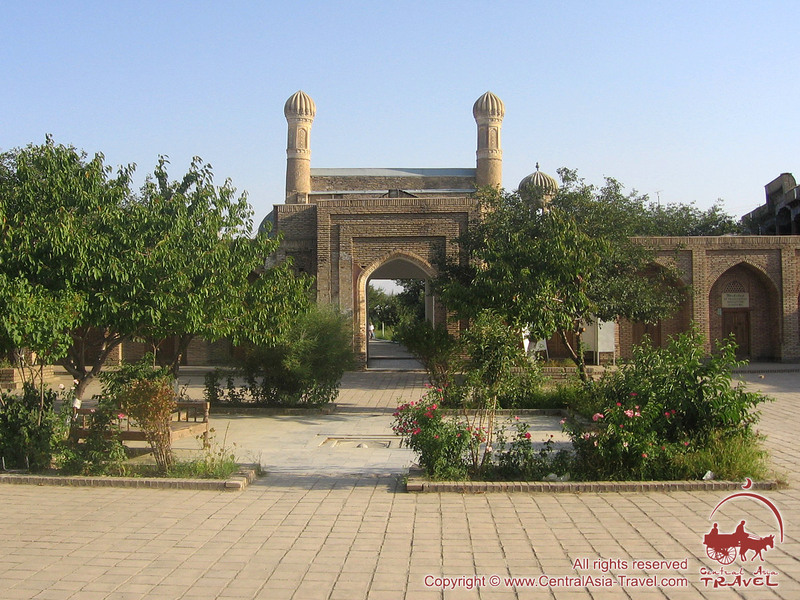 Legend has it that once in Arabia they found out that the people of Samarkand did not care much about Islam, so they sent Burhan al-Din Sagarji, a true Muslim living in Mecca, to the city to help them solidify their faith in Allah - and Burhan al-Din was highly successful. According to another legend, Burhan al-Din kept a copper box with seven beard hairs of Muhammad the Prophet. When the mausoleum was being built, the box was incased somewhere in the bricks of the dome. They also say that Tamerlane respected the saint so much that he never passed by his mausoleum on horseback. He used to dismount and proceeded past it on foot. 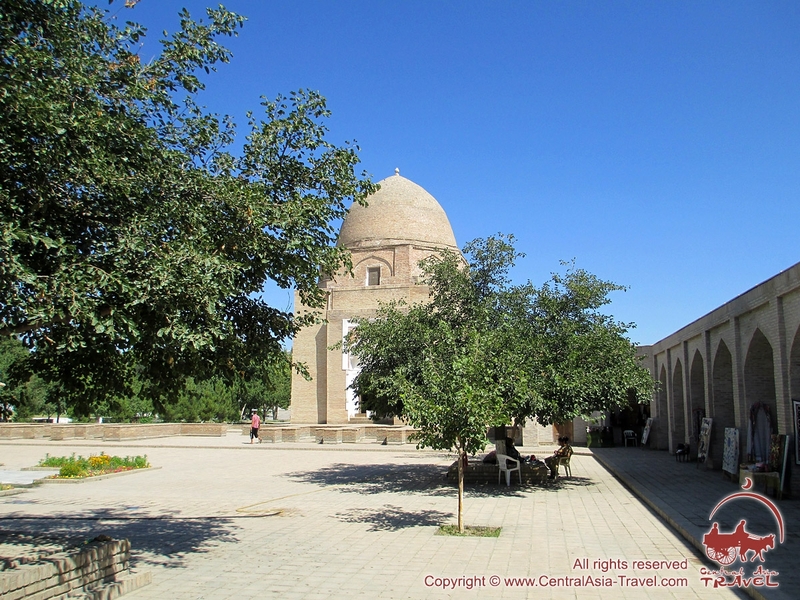 Today the mausoleum is an Islamic pilgrimage place as well as a tourist attraction visited by many people.